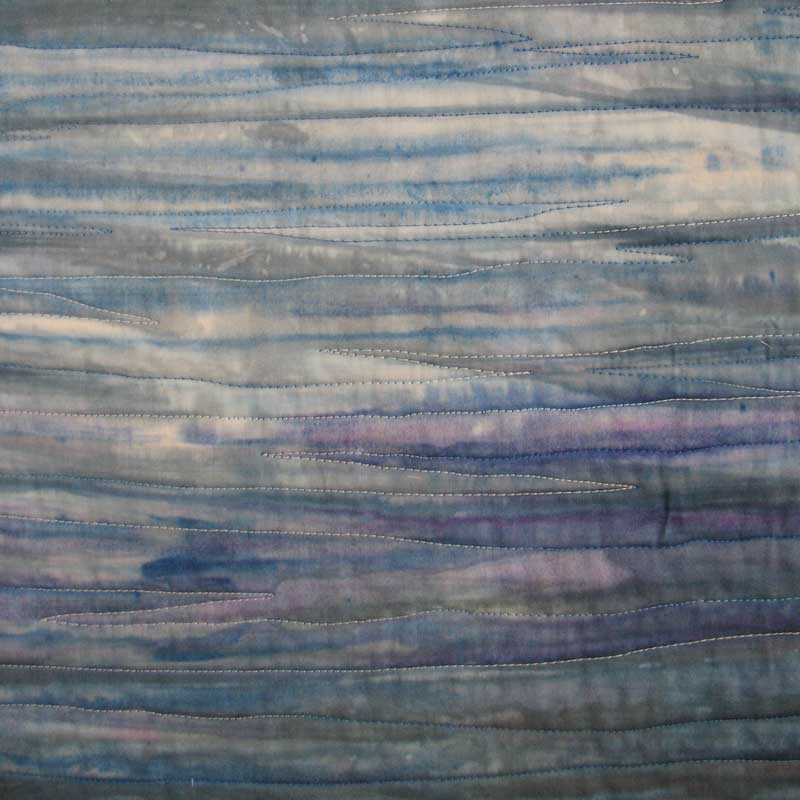 Unique hand dyed fabric (cotton sateen) in rich colours to suggest the music of rippling water, reflections and moonlight. 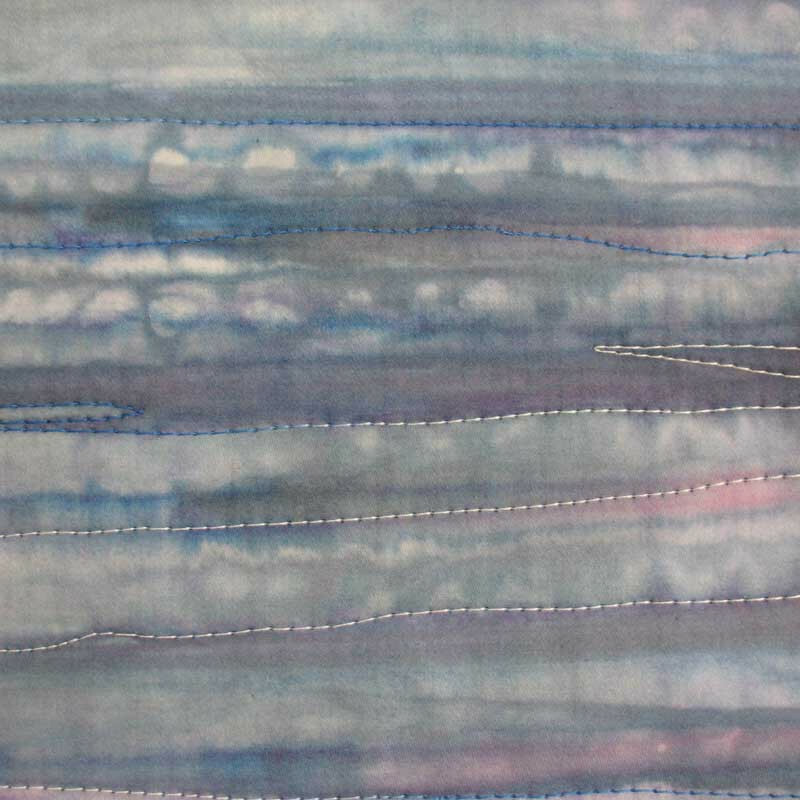 The fabulous sheen on this high quality sateen enhances the quilting which echoes the flow and movement of the colours and movement of the dyeing. 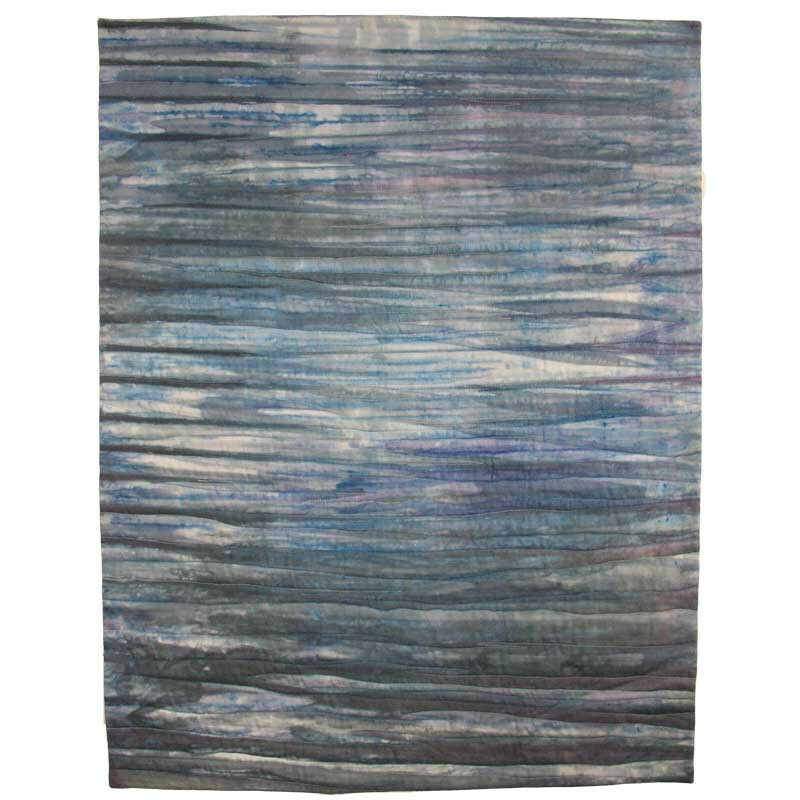 This piece can be used as a wall hanging, or makes a wonderful throw. This piece hangs from a hidden sleeve and comes with a tailor made wooden batten which is designed to be invisible when hung. The quilt can be fixed to the wall with the integral mirror plate fixings, or hung from hooks. Full instructions are included on how to care for your textile.